Please note maximum 4 x rolls per order please to keep parcels within royal mail size - thankyou! 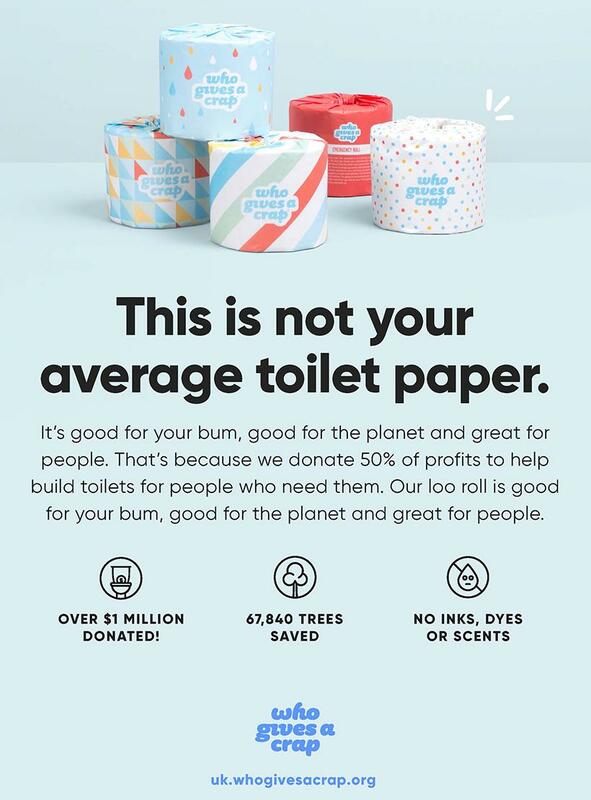 Good For Your Bum - Great For the World! We LOVE this toilet roll - it's a big hit in our house and it lasts for ages!! 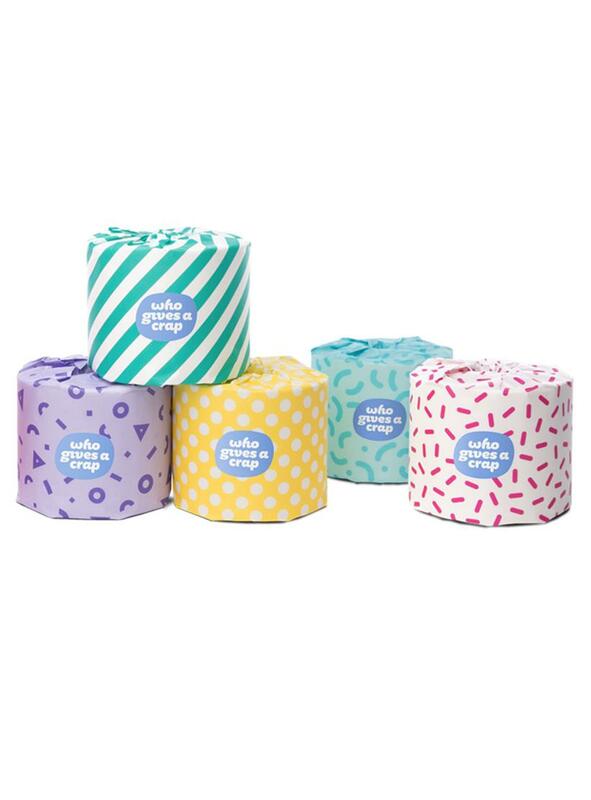 100% recycled in colourful fun wrapping from a company who donate 50% of their profits to help build toilets for those in need - what's not to like! If you dont fancy diving straight in with one of the big boxes directly from Who Gives a Crap just yet, here's your chance to try it out with a smaller quantity. We are sure you are going to love it! Makes your bathroom way prettier! "We're determined to prove that toilet paper is about more than just wiping bums. We make all of our products with environmentally friendly materials, and we donate 50% of our profits to help build toilets for those in need. To date we've donated over $1.2m Aussie dollars (that’s the equivalent of over £650,000!) to charity and saved a heck of a lot of trees, water and energy. Not bad for a toilet paper company, eh? "